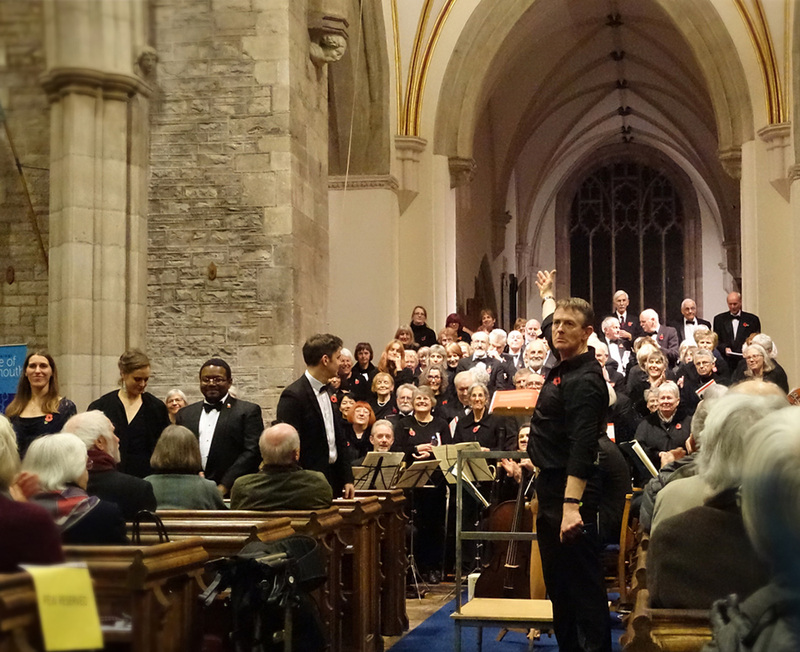 The next rehearsal will be on Thursday 25 April. There will be no rehearsal on Thursday 9 May. An alternative day such as a Tuesday will be sought. If anyone finds good examples of midis or videos of the music we are covering (not shown above), please pass the site to David H for all to share through our web site. Dates for the diary 2019. 23 May: AGM at 7pm before rehearsal. 15 June: Garden Party in Rita and Brian Stone's garden. 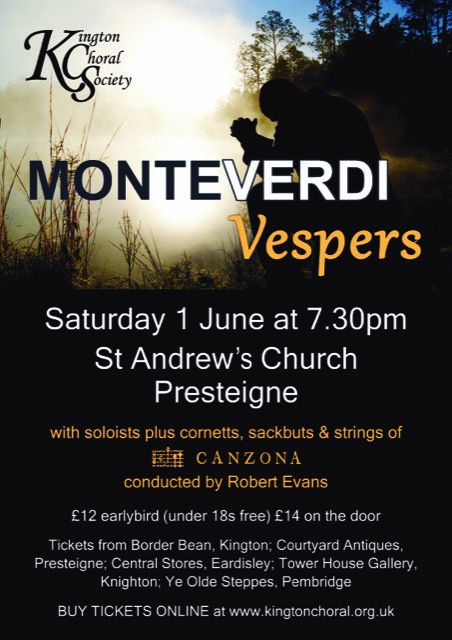 29 June: Summer Concert at lunch time in Abergavenny. 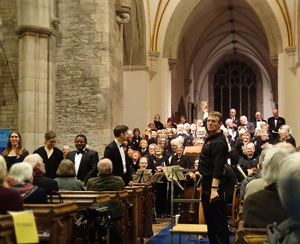 9 November: Bach's Christmas Oratorio at St Mary's Priory Church. Get the flavour! Valerie has prepared clear instructions for changing the speed of music when using Windows Media Player. 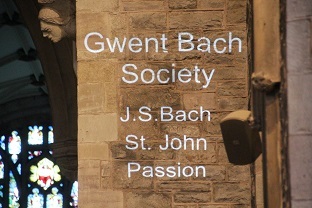 Surtitles were thrown onto the wall above the pulpit for the audience, unfolding the story of Bach's St John Passion. 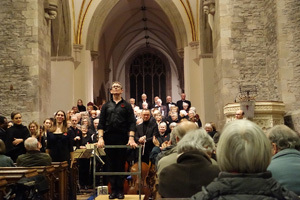 Recordings were taken of the November concert from the side of the church. Mendelssohn's Verleih uns Frieden. 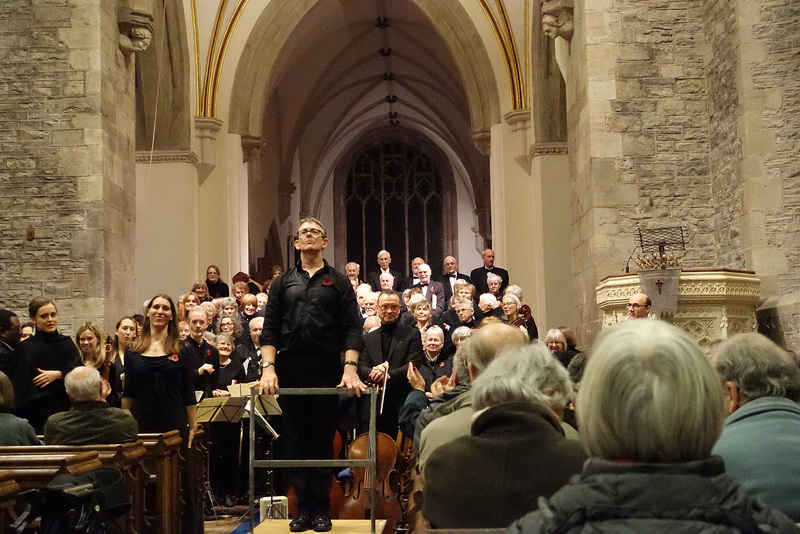 Sung by the Gwent Bach Choir in St Mary's Priory Church on 4 July 2014. Immortal Bach by Knut Nystedt. David Baggs, A long standing bass in the Choir and a physicist by training has kindly produced some interesting articles and scientific note. Choir's archive. The Choir's archive is at www.gwentarchives.gov.uk .